Kris Alvarez returns to Artesian on 13th for 'Burnt Sienna' – with an all-new lineup of special guests! 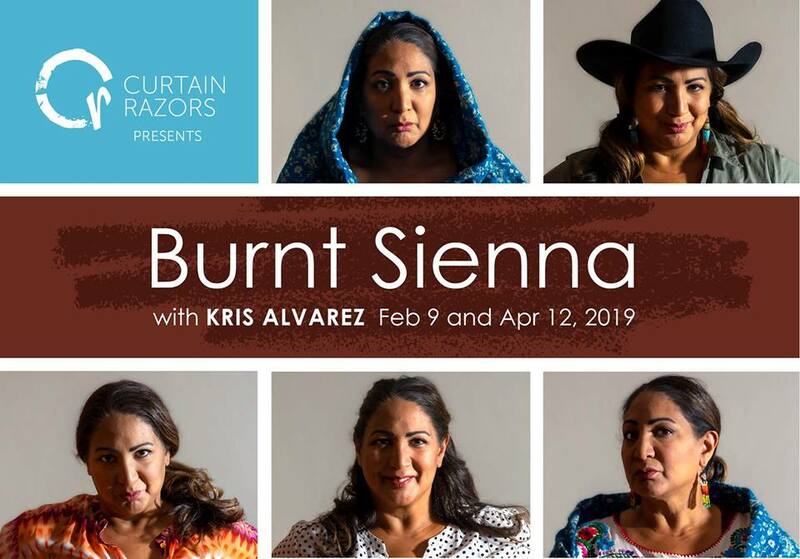 Curtain Razors invites you to tune in to a variety show with a little more colour: Kris Alvarez’s 'Burnt Sienna' brings audiences together for an evening of conversation, food, humour, and heart with local artists, thinkers, and entertainers from diverse backgrounds. Kris's guests for this show include: Skyler Anderson, Tiffany Kearse, and Eunice Mercado. Stay tuned for more info!